Mooreville - Jimmy Carroll Crumpton, 79, crossed over to eternity on Thursday, January 24th, 2019 at 2:02 pm at the North Miss. Medical Center in Tupelo. Ending nearly a year of declining health. He was born on Aug. 31st, 1939 in Benton County, and was loved by his parents Alvie Collins Crumpton and Mildred Waureen (Mannon) Crumpton. 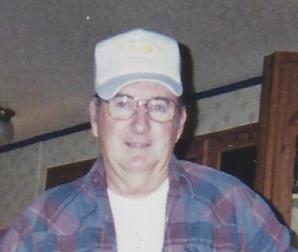 He moved to Illinois in 1957 where he met his wife of 52 years, Sandra Sue (Haas) Crumpton of Earlville, IL. There wedding took place on Sept., 26th, 1967 in New Albany, MS.
Jimmy, known as “Spider” to his working friends, was a hard worker and made many dedicated friends over the 33 years he spent as a member of Local 2 & Local 149 Laborers Unions. Working for such companies as Nash brothers of Chicago, IL. and Geneva Construction of Geneva, IL. Primarily working in the Greater Chicago area. After his retirement, he returned to Mississippi in 1989 and made a home in Mooreville. Jim, known as “Crump” to his local friends, was a man who enjoyed his family, friends, and life to their fullest. He truly captured the “rhythm of life” with its ups and downs over his 79 years. He loved God’s creation and all outdoors, the lakes and streams as a fisherman, and the woods as a hunter, and he loved all animals, especially dogs. Jimmy enjoyed simple things, such as lawn mowing, gardening, and driving a tractor. This enjoyment came from the warmth of the sun, and the time allowed him to remember back on his life with all his friends and loving family. He was a jovial but serious man, who was well acquainted with sorrow, but always exhibited a joyful nature. He will be missed. At the Tupelo Chapel of Holland Funeral Directors, Tuesday, January 29, 2019 a visitation will begin at 5pm, with a service celebrating his life to be held at 6pm with Bro. Ricky Hood officiating. Following the services a fellowship will be held at the same location. The service may be viewed via hollandfuneraldirectors.com/Livestreaming at 6 PM Tuesday and for 60 days thereafter. He was preceded in death by his Father, Mother, Brother Glen Allen Crumpton, a son William Robert Crumpton, and host of special dogs over his lifetime. Jimmy is survived by the loves of his life, his wife Sandy Crumpton, and their son David Crumpton (Nancy) of Montgomery, Illinois, along with 3 grand-daughters by them. His 4 beloved dogs that brought him daily pleasure and companionship, Delilah, Peanut, Hercules and Biscuit. His son, Jimmy Allen Crumpton of New Albany and one grand-child by him. Daughter, Elizabeth Ann Garcia of Illinois, and 2 grand-children by her. Along with 2 grand-children by Willam Robert Crumpton, and numerous great-grand children. Along with a very special niece, Michelle Crumpton of Tupelo.